With 26% protein, 16% fat and added superfoods, Diamond All Life Stages Dog Food – Chicken & Rice Formula supplies the energy and muscle building blocks your dog needs to stay active and strong. Guaranteed levels of selenium and vitamin E ensure your dog is receiving optimum antioxidant nutrition, and crunchy kibble helps clean teeth and reduce plaque. 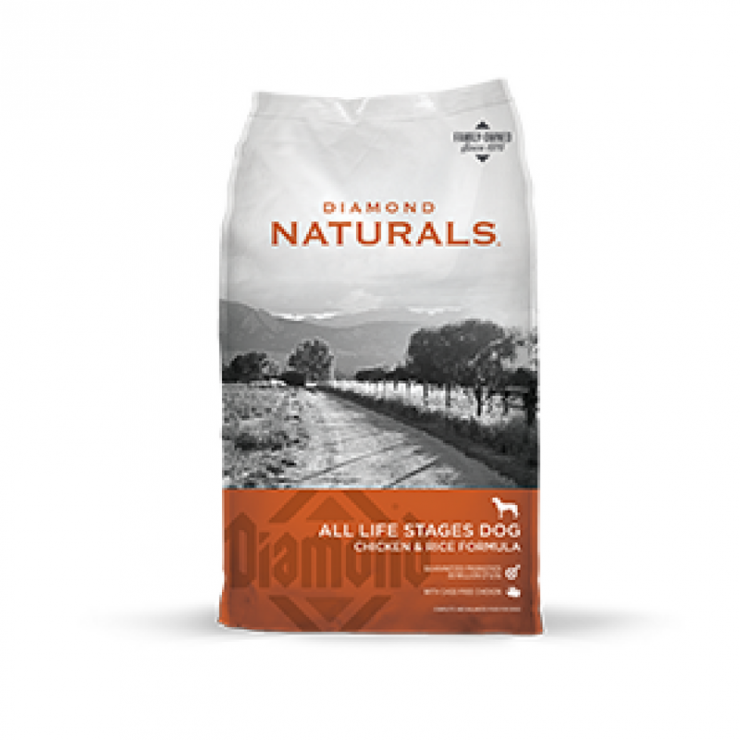 If you have questions about this Diamond All Life Stages Dog Food – Chicken & Rice Formula or any of our other products, give us a call or stop by one of our store locations. We are happy to help you find the perfect dog food to keep your pup happy and healthy!